And why economists have come to have second thoughts about Homo economicus. I read this article and found it very interesting, thought it might be something for you. 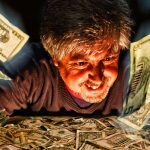 The article is called How the Deadly Sin of Greed Was Rehabilitated as Self Interest and is located at http://evonomics.com/deadly-sin-avarice-rehabilitated-self-interest/. The Wealth of Nations was still hot off the press when Archdeacon William Paley in his Principles of Moral and Political Philosophy let his readers know that he had no time for the “usual declamation upon … the worthiness, refinement, and delicacy of some satisfactions, and the meanness, grossness, and sensuality of others: because I hold that pleasures differ in nothing but in continuance and intensity.” The economists’ conception of “preferences” was in the making: a ragtag collection of undifferentiated motives including everything from addictions to moral commitments. From there, it was a short step to thinking that while ethical reasoning and concern for others should inform one’s actions as a family member or friend; the same did not go for shopping or making a living. And so it came about that since the late eighteenth century, economists, political theorists, and constitutional thinkers have embraced Hume’s maxim and have taken Homo economicus as their working assumption about behavior. Partly for this reason, competitive markets, well-defined property rights, and efficient and (since the twentieth century) democratically accountable states are seen as the critical ingredients of governance. Good institutions displaced good citizens as the sine qua non of good government. In my recent book I explain why economists have come to have second thoughts about Homo economicus. Second, Smith’s invisible hand has always needed the helping hand of both public policy and personal morality. Smith’s economy was not the stateless world of sociopaths that so many students of economics encounter in their intro courses. Smith’s insistence that self interest be constrained by elementary morality now resonates in unlikely places. As the housing bubble burst in 2008 and the financial crisis unfolded, many U.S. homeowners found that their property was worth less than their mortgage obligation to the bank. Some of these “underwater owners” did the math and strategically defaulted on their loans, giving the bank the keys and walking away. They were hoping, in short, that morals would do the work of prices. 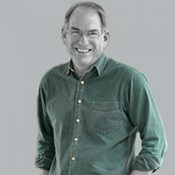 Samuel Bowles, is at the Santa Fe Institute, recently published The Moral Economy: Why good incentives are no substitute for good citizens and is one of the authors of The Economy, a free online introduction to economics by the CORE Project.